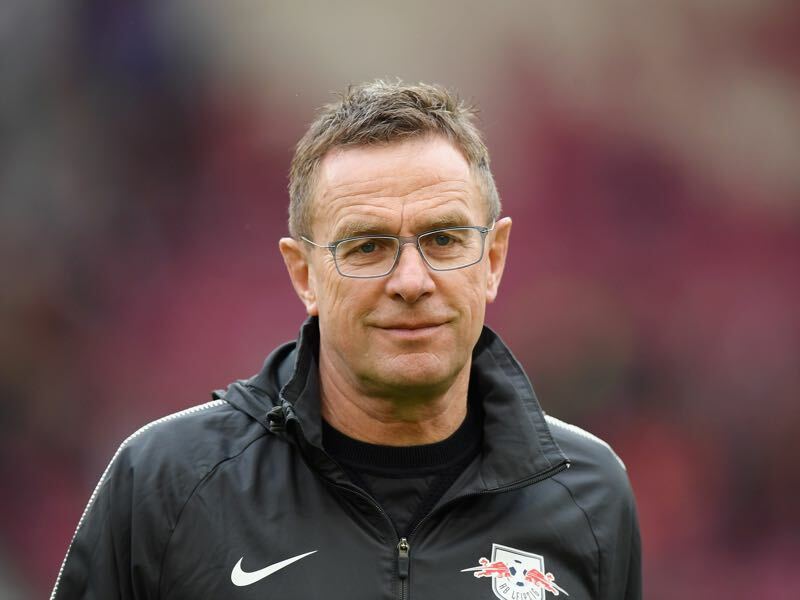 Sporting director and interims coach Ralf Rangnick will now be tasked to integrate those three but also built a team that can be taken over by Nagelsmann next summer. Among those players that are supposed to be part of that squad next summer is Ademola Lookman. In fact, these are critical weeks for RB Leipzig. Die Roten Bullen have already announced the signing of Julian Nagelsmann, to be completed in the summer of 2019, and the signatures of defender Nordi Mukiele, wing-back Marcelo Saracchi and striker Matheus Cunha. Not in the squad at the moment is the 20-year-old winger Ademola Lookman was already part of the RB Leipzig squad last season. Signed on loan, last January Lookman managed 11 Bundesliga games in which he scored five goals and four assists for die Roten Bullen. Initially, brought in as a short-term squad player Lookman quickly managed to impress in Germany despite the fact that former Everton coach Sam Allardyce suggested that heading to Germany would be a mistake for the 20-year-old junior England player. “It’s one of the most unusual situations I’ve been in,” Allardyce said. “We got some deals for him, but he was adamant he chose Germany. His stubbornness means he got his way in the end,” added Allardyce. For Allardyce, however, the move was considered a mistake. The head coach believed that the young winger would not get the playing time necessary to make the next step in his development. It was not the only mistake in judgement by the former Everton head coach, who was forced out of his job at the end of the season. Lookman managed to score in his first game for RB Leipzig securing his club vital three points against Borussia Mönchengladbach on matchday 21. It was, however, not a smooth transition for the explosive winger. Only after matchday 29 did the London native of Nigerian descent manage to become a regular first-team player for RB Leipzig. The biggest criticism came from the coaching staff, which suggested that the 20-year-old struggled with the tactical demands of German football. In fairness, however, Lookman had to make a big step from mostly playing on loan in the English Championship to top-flight football in a top five European league. There were two other factors involved as well. First Leipzig’s tactical approach is not easy to understand for newcomers, and the club somewhat struggled with coming to terms with the high demands of European and domestic football. The bottom-line, however, is that by matchday 29 when the club was fighting for a spot in the Champions League Lookman started the last five games and managed four goals and three assists. Despite his contribution, however, Leipzig failed to finish in the top four and will now be playing in the Europa League. The Futbolgrad Network was present during Leipzig’s final game against Hertha. Die Roten Bullen won that game 6-2 and Lookman was among the scorers showing his ability to press the opponent high and causing chaos by displaying a high work-rate. Despite the positive result, however, Leipzig failed to reach the Champions League. It meant that the club ultimately parted ways with Ralph Hasenhüttl – the Austrian coach did not want to go into the final year of his contract without the prospect of a contract renewal. As a result, Leipzig signed Nagelsmann for next summer and will now go into the season with Rangnick and Jesse Marsch as the men in charge. 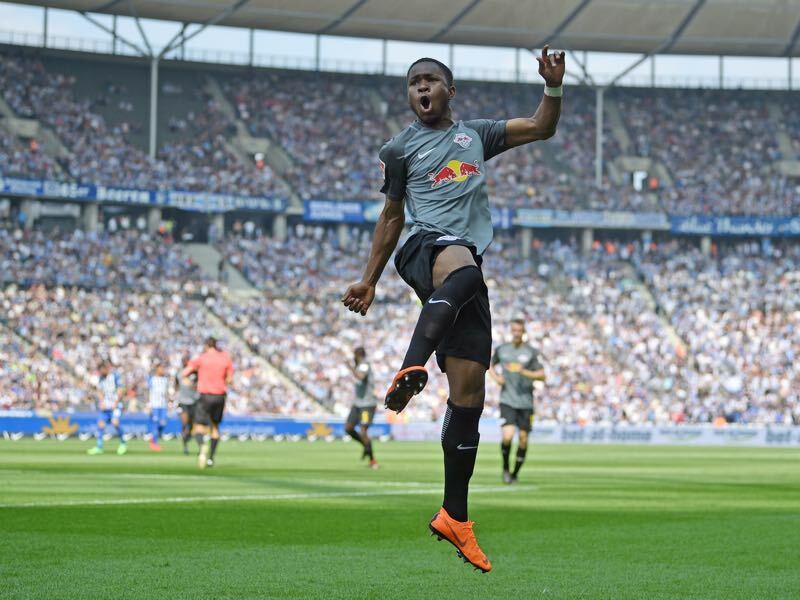 Going into that season, Leipzig now hope that Lookman can be part of the long-term project. Everton, in the meantime, have, however, realised the great potential of the 20-year-old winger. When Lookman’s loan started his transfer value, according to transfermarkt.de, was €7 million. His impressive appearances in Germany, however, has meant that his evaluation has increased to €12 million. As a result, Everton have been somewhat reluctant when it comes to off-loading the winger to Leipzig. Instead, the Toffees hope that they can convince the attacking-midfielder to remain in England. Everton finished eighth in the English Premier League last season and are now looking to rebuild once again under new manager Marco Silva. Although Everton are looking to make major investments, aided by the Iranian businessman Farhad Moshiri, the Charlton Athletic academy product Lookman is considered part of the long-term plan at the club. Bought for €8.8 million from Charlton in January 2017 Lookman, however, only managed 439 minutes for Everton. It is for that reason that Lookman has expressed that he would like to in Germany where he believes that he can further his career more effectively. Thus far, however, Everton have been steadfast hoping that they can price out Leipzig’s interest in signing the 20-year-old. 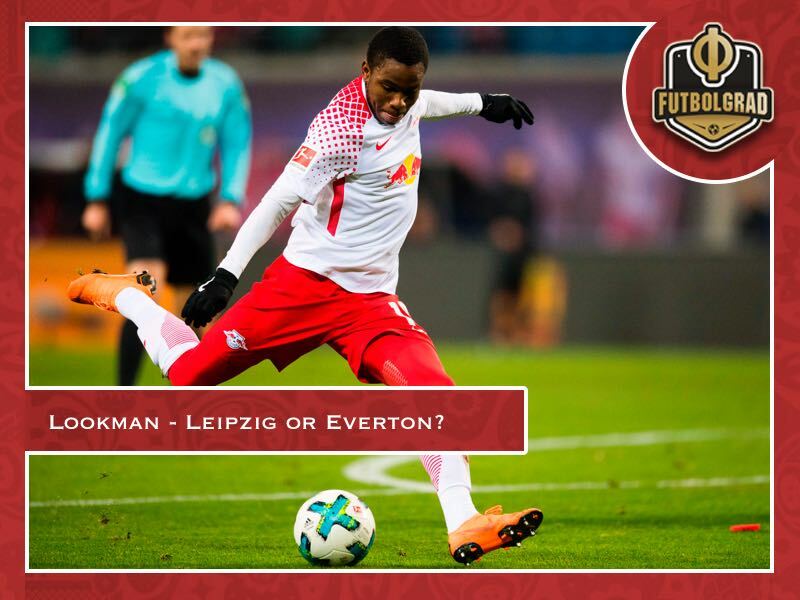 In fact, the transfer of Lookman has become a fight between the interests of two clubs and Leipzig. Everton have turned down an offer of €14 million and €16 million for the winger – asking for €20 million from die Roten Bullen. Leipzig, in turn, have thus far been tough negotiators themselves shying away from going all in and paying the €20 million. The transfer negotiations show the value that both clubs have placed in the player. Lookman is among the brightest English talents and will without a doubt have an impact at either club next season. With that in mind, it is understandable why Everton have been playing hardball in the negotiations. But with Lookman wanting to join RB Leipzig it will likely be only a matter of time for the deal to be concluded – especially as Everton have come close in signing the Brazilian Malcom. The bottom-line is that Lookman would be an interesting long-term project either way. A powerful winger with an ability to use his vision to slalom through defensive lines the 20-year-old is also excellent in executing attacking plays. For Leipzig he could become a valuable asset should the club decide to sell the Swedish attacking-midfielder Emil Forsberg. Forsberg has been pressing for a transfer since last summer and while the two are different players Lookman might be a better fit for Rangnick’s high press football. They are attributes that have made him among the most fascinating players in his age category. As a result, he will be a fantastic prospect in either league, and it is, therefore, understandable that both Everton manager Silva and Leipzig sporting director Rangnick are big fans of the player. Given that the transfer window closes on August 9, in England the transfer saga is expected to be concluded in the coming days. It’s quite impressive the way many german teams such as Borussia Mochengladbach, RB Leipzig or even BVB are recruiting promising players at a young age to those aren’t given considerable chances on their former club.